It was déjà vu all over again, albeit compressed in time: when the race started to replace PegIFN+RBV for the treatment of HCV infection, the learnings from HIV drug development and the lessons with HAART provided an excellent template for quick and efficient development. There was early consensus that a search for DAA drugs would probably be the most useful approach. Immune stimulation and other indirect ways to influence viral kinetics or the disease process were not abandoned but the success of HIV drugs directly targeting the viral replication machinery on multiple fronts provided the preferred strategy as the host’s cellular responses were less controllable, less understood, and less specific. For this chronic and ultimately fatal infection, there was little regulatory discussion about mortality endpoints and clinical decompensation (like cirrhosis) as necessary endpoints for clinical studies. Remember the lengthy battle about OIs as endpoints in HIV and the reluctance to allow VL as a marker of efficacy? Insisting on these outcome criteria, FDA intransigence slowed down HIV trials for at least a decade. Contrast this with HCV: Right from the start, there was acceptance that viral load was the measure to guide drug development. Given the central role of VL assessments, we saw a rapid improvement in PCR techniques. Both test sensitivity and reproducibility improved rapidly and, equally important, the threshold of viral detection was lowered successively. Assays with the amazingly low LLOQ for HCV RNA of ≤ 25 IU/ml , and an even lower LOD of 5 IU/ml (qualitative TMA ) are now available for assessment of VL response and determination of SVR ; 10 years earlier, the LLOQ was in the range of 615 IU/ml and the LOD around 50 IU/ml . This was important because SVR, as a test of cure, still requires a negative qualitative viral assay 24 weeks after EOT and these super-sensitive assays have made for a much more rigorous determination of viral clearance than we had in former years. With excellent early markers of efficacy, the main targets of interest became the viral replication systems. The products of NS5B, NS3/4A, and NS5A – in that sequence – were found to be useful drugable targets. In the absence of in-vitro or animal models of HCV replication, the Bartenschlager replicon assay proved invaluable in the early days. It was eventually replaced by even better cell culture systems that allowed in-vitro selection of drug candidates , . Similar to HIV, there was always concern that HCV a rapidly mutating a ssRNA virus lacking any proof-reading mechanism for its polymerase, would need a multi-drug approach to prevent early relapse. Viral polymerase was an attractive target given its essential function and both nukes and non-nuke drugs were advanced into development but early compounds often proved too toxic or had weak effects on viral kinetics. The advent of protease inhibitors was delayed as the shallow enzymatic binding site proved a difficult target to latch on and challenging chemists from many companies. When telaprevir (Incivek) and boceprevir (Victrelis) were approved, in 2011, they were rightly considered a break-through in HCV therapy. For the first time, SVR rates around 80% became achievable even in GT1 patients, a monumentous improvement over the prior standard which – at best- delivered an SVR around 45-55%. Thus, the advent of these protease inhibitors provided an almost 2x improvement over PegIFN+RBV at the time and validated the DAA approach to HIV therapy. This boost in efficacy was ‘bought’ at a cost: side effects abounded and often were quite severe. Still, proof-of-concept had been established beyond doubt. There was reasonable hope that the next generation of protease inhibitors and DAAs would be better tolerated, replace the PegINF+RBV ‘gold standard’ and reduce treatment times for patients across all GTs. Enter 2014, the year which brought such rapid changes to the field that HCV guidelines are outdated often before before the ink is dry. First, sofosbuvir entered the stage, a polymerase inhibitor which was well tolerated and produced SVR rates >95% in GT1 patients in ≤24 week studies, with PegIFN+RBV depending on population. Finally, the combination of sofosbuvir + simeprevir, the latter a protease inhibitor, was introduced without a standard PegIFN+RBV backbone, a breakthrough in the long history of HCV trials. In particular, the COSMOS trial showed SVR rates > 90% even in prior non-responders and patients with high METAVIR scores, paving the way for a purely DAA based regimen of two DAAs only, a regimen now awaiting FDA approval. The approval of Harvoni  on Oct. 10, 2014 finally takes us to the promised land of an IFN / RBV – free regimens. The combination of sofosbuvir and ledispavir, a nucleosidic polymerase and a NS5A inhibitor, respectively, in a single pill to be taken once a day for 12 wks is just the latest drug combination with exceptional efficacy data: for all patient groups studied, SVR was >90%, often very close to 100%. Even prior non-responders had excellent SVR responses, only cirrhotics seem to do better with a 24 week treatment regimen which then again achieves SVR >90%. This remarkable progression in therapeutic options begs the question: what’s left to improve? 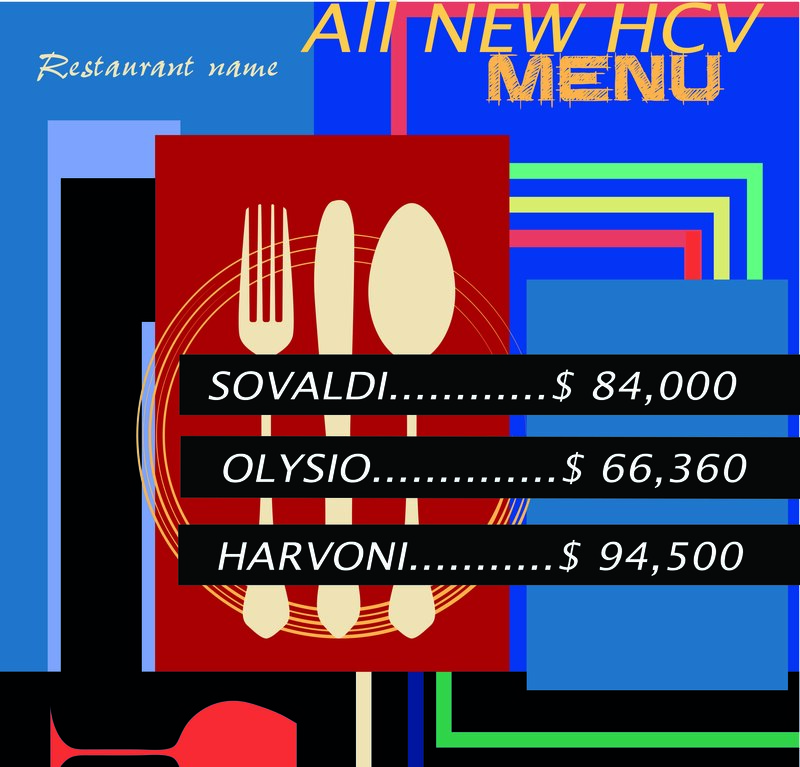 Clearly, there are still many companies engaged in early HCV research hoping to improve on Harvoni, the new standard in HCV treatment. NOTE: Drug candidates that are in Phase 2 or later are listed in a previous blog on this site. NOTE: Areas of improvement, differentiation and unmet needs will be the topic of a future blog at this site. This entry was posted in The News, The Viewpoint and tagged approval, Bartenschlager, boceprevir, cirrhosis, DAA, FDA, HAART, Harvoni, HCV, HIV, Incivek, ledipasvir, LLOD, LLOQ, NS3B/4A, NS5a, NS5B, OI, Olysio, Peg-interferon, polymerase, protease, replicon, ribavirin, simeprevir, sofosbuvir, Sovaldi, SVR, telaprevir, Victrelis, viral load, VL by Harald. Bookmark the permalink.